Surprise! 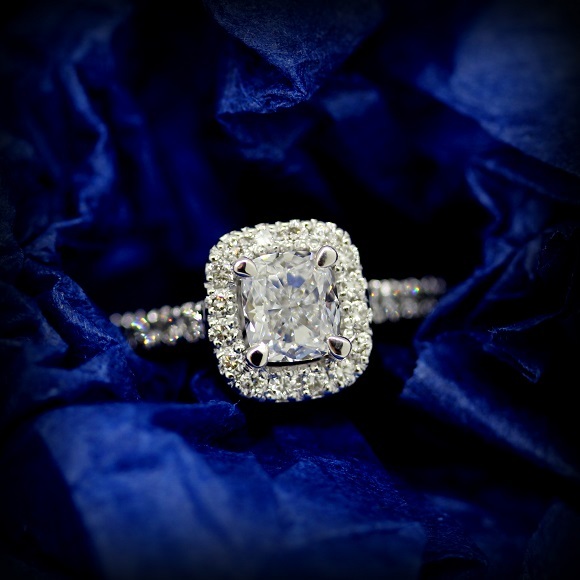 / Torres Jewel Co.
A special shout out to our friend who will surprising his lucky lady with this incredible jewel. We worked closely to produce this stunning 18ct White Gold Diamond set ring, featuring a centre Cushion Cut Diamond in a raised four claw setting, with Round Brilliant Cut Diamonds on the halo and shoulders in a claw setting.